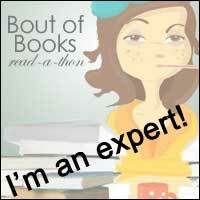 Review: wow-I loved this book. I wasn't sure what to expect with it, I just decided to go for it on a whim-aren't those always the best book buys? I was sucked into this book right away and could not tear myself away from it! I downloaded it on audiobook and actually relished sitting in traffic last night because it meant that I got to listen to a whole chunk of it and then relish the last moments when I eventually got home. This was such a compelling read, so touching and such a well thought out storyline. I think the idea for someone losing their memory and having to rediscover their life is not an original one, but it's not one that has been done as well as in this case. The storyline itself is just so intricately woven with every detail and every moment accounted for, you can tell this author put in a lot of thought and effort into how the twists and turns of the story were going to take place. I love that fact that Alice regresses just ten years, she can remember her husband, but not much else about her current life, and the more she discovers about the person she is now. The more she doesn't like her. It's a bit like a reverse Christmas Carol but without the snow. Some of the events that happen are seriously touching, others absolutely hilarious, but all are described in such details that you feel like you are actually living them yourself! At moments, the reader feels as if they are Alice and each thing that slowly unravels for her, also reveals itself to them-just so clever! The characters in this book are just gorgeous. Alice is so likeable. When she loses her memory, she becomes so optimistic and so willing and open to everything it is impossible not to fall in love with her. Her friends and relatives provide a lot of comedy and I think it's hilarious that no on understands that she can't remember them! Her children are gorgeous characters and are an integral parts of the story, something which so many other books lack. Again, it's not just the storyline that is well-thought out. The characters themselves have traits that last from the present day, to ten years ago, to the future in the epilogue. They carry these traits right the way through the book and each and very detail is accounted for-so clever. The book has an epilogue-which I love and it really wraps up the whole story so I was left feeling entirely satisfied by the ending, just like having finished a really comforting meal and feeling just ready to chill out. I just loved this book from beginning to end. It was lovely to have a book set in Australia, there aren't enough of these around and I think that every reader will be able to find something to love here. 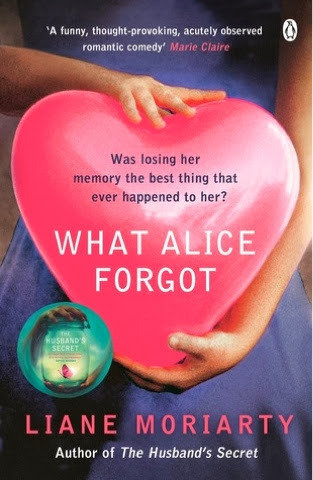 Because you are wanting to find out who Alice is and how the events that have come about have transpired this is a real page turner and so will be a very quick read, although the audiobook is superb and I really recommend that. Read this book and then appreciate what you have and those around you, I guarantee this will get you out of any reading slump/back to reading quicker than you can click your fingers!